[Editor’s Note: As you all know, I am a big fan of pointing you towards some great content around the internet. Lately, however, I must be cranky or something because I have decided to make these guys earn their spot on Vikings Gab by, well, writing me an article for your enjoyment. I am thankful that Adam a great opportunity to try to drive more people to my Viking blog during the 2011 Vikes Super Bowl run. The Minnesota Vikings have been like many teams in the NFL during the draft. The Vikes have had their share of homerun players and others that they have struck out on. I am going to list my Top 5 Viking draft picks. Looking over the draft the Vikes have had their share of great talent over the years. The problem was narrowing my list down to 5 players. There were so many players worthy of being a top 5 selection it was kind of difficult weed out the players I thought were deserving. I was thinking that maybe Adrian Peterson should be considered as a higher rank than a 5. My reasoning is that he was drafted in 2007, he does not really have that many years under his belt just yet. AD was Chilly’s(Brad Childress) first draft pick. So many people were thinking the Vikes did not need a running back considering that Chester Taylor was coming off a 1400 yard season. The Vikings had the 7th overall pick in the draft that year and Vikes took him. Even with an injury-prone career at Oklahoma, and this is a reason why the “experts” figure why AD dropped to number 7 in the first place. AD came into the NFL like a rocket in his 1st NFL game he scored a TD on a short pass from Tarvaris Jackson and he ran the ball 60 yards. The nine games that he started 6 were over 100 yards and he also broke the single game rushing record(296 yards) against a good San Diego rush defense. With his rookie campaign he won the Offensive Rookie of the Year Award by a landslide. He did not stop there. AD also was the MVP of the Pro Bowl that season, as well. AD has shown throughout his career so far that he fights for that extra yard every time he touches the ball. With that mentality he has been fumble prone in his 1st three seasons as a Viking. If AD can continue to improve, he may become #1 on this short list. What is there to say about Fran the Man? During the era in which he played we was among one of the best QBs in the NFL. Fran revolutionized the game as he was a mobile QB. This is something the defense could not really prepare for during the week. Him and Van Brocklin were usually in disagreement as how Fran should be playing as a signal caller. Van Brocklin did not like the idea of a mobile QB. Fran brought the Vikings to 3 of their 4 Super Bowl appearances. It is still hard to imagine the Vikes are still without a visit to the Super Bowl since the Purple People Eaters Era. Upon retiring Fran held every pass record in the game: Tarkenton held NFL career records in pass attempts, completions, yardage, and touchdowns; rushing yards by a quarterback; and wins by a starting quarterback when he hung up the cleats. Not anymore, thanks mostly to Brett. He also used his impressive scrambling ability to rack up 3,674 rushing yards and 32 touchdowns on 675 carries. During his career, Tarkenton ran for a touchdown in 15 different seasons, an NFL record among quarterbacks. He ranks fourth in career rushing yards among quarterbacks, behind Randall Cunningham, Steve Young and Michael Vick. He is also one of two NFL quarterbacks ever to rush for at least 300 yards in seven different seasons; the other is Tobin Rote. Inducted into the Pro Football Hall of Fame in 1986. He is by far the best QB the Vikes ever drafted. He brought so much to the organization. He still holds the records for the Vikes for the most passing yards and TD passes. Fran was the Vikings 1st QB and still remains to as one of the faces of the Vikes. Randy Moss dropped down to the Vikings with the 21st selection in the 1998 NFL draft. He was much like AD and hit it off big quickly. Moss’ first NFL game would also be his first multi-touchdown game as he recorded 4 receptions for 95 yards and two touchdowns. His first NFL reception came on the third play of the game on an 11 yard pass from Brad Johnson. He was a big part of that high flying 1998 Viking offense. His first Monday Night Football game came in week 5 against the Green Bay Packers at Lambeau Field. He had 5 receptions for 190 yards and two touchdowns, including TD grabs of 52 yards and 44 yards, and two other receptions of 46 yards and 41 yards. I still remember this game like it was yesterday, me cheering and jumping watching the TV. Seeing Moss and Cunningham LIGHT UP the Packers defense. That was one awesome game. Moss was a 5 time Pro Bowler in the Viking uniform and was one the game’s best when he was a Viking. So far Randy Moss is the best WR the Vikes ever drafted, but who knows if Sid the Kid will catch up to his game. Moss awed fans with his circus type catches and ease of getting open throughout his career in the beloved purple. Offensive guards do not get much love when it comes to people judging their talent. Just ask your everyday fan to name a guard that does not play for their favorite team. I bet that not that many would be able to do it. Randall McDaniel was drafted in the 1st round by the Vikings. He is one of the greatest and most versatile offensive lineman ever to play the game. He started in 12 consecutive Pro Bowls (1989-2000). That is something to be said in itself, you cannot think of too many players that made 12 straight let alone start 12 straight. He was a very durable player as well starting 202 straight games in his career in the trenches. I do not think the Vikings could have envisioned selecting one of the best guards the game has ever seen in the 1988 draft with the 19th overall selection. There had to be at least one of the Purple People Eaters on the list. Alan Page was the leader of the group on and off the field for the VIkes during that time. During Page’s 15-year NFL-tenure, the Vikings won an impressive four conference titles. 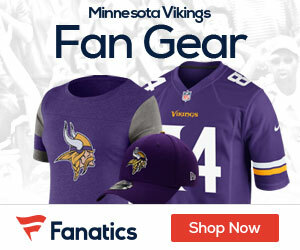 Page played in 218 consecutive games without an absence, during which he recovered 22 fumbles, made 178½ sacks (Vikings-138½), and scored three touchdowns (two on fumble recoveries and one on an interception return). He also had three safeties, the second most in NFL history. He set a career-high in sacks with 18 in 1976 and is unofficially credited with 5 other seasons with 10 sacks or more. While in the NFL, Page earned All-Pro honors six times and made second-team all-league three additional times. He was voted to nine consecutive Pro Bowls. Eleven times he was voted All-Conference, in 1968 and 1969 as All-Western Conference and 1970 through 77 and 1980 as an All-National Football Conference. In 1971, Page was named both the AP NFL Defensive Player of the Year (the first player to be named such) and the AP’s NFL Most Valuable Player. Page was the first defensive player to be named MVP since the award’s inception. In addition, he was voted the NEA NFL Defensive Player of the Year in 1973. Most of the stats are unofficial considering the NFL did not record the stats for defensive players during that time. It was only for amusement if there was any mention of a particular stat for the defensive player. In my opinion, there has not been a player close to whom the Vikings have drafted in their franchise history. Who do you guys think should be the top 5 draft pick of the Vikings? *) I start my list with two studs who were passed over on draft day . John Randle, HOF, 7x Pro Bowl, 6x first string. 137.5 career sack total. Mick Tingelhoff. His 240 consecutive starts are second only to Jim Marshall’s 282 and Brett Farves’ 309 in the NFL record books. All-NFL 1964-1970, 6x Pro Bowl 4x first string. 5) Randy Moss, On my list for all of the reasons you stated above. Traded because of a cheap owner, for a wasted draft pick and a so-so linebacker. 1) Allen Page, HOF and my second favorite Viking of all time.